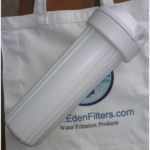 This is a set of three (3) filter cartridges of the following: KDF55-2510. Flow throughout this UDF cartridge is coaxial from bottom to top. 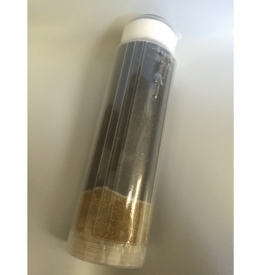 The cartridge has a combination of two media: 11 oz of coconut shell Granular Activated Carbon (GAC) media, together with 0.5 pound (8 oz) of KDF55 media. The total weight of the filled cartridge is 1 lb 6 oz. GAC will reduce chlorine, unpleasant taste and odor and organic matter from water. KDF55 is 55% copper and 45% Zinc. KDF media is effective in removal of lead, pesticides, rust, , hydrogen sulfide, iron, nickel, chromium, cadmium, calcium, aluminium, mercury, and arsenic. KDF is bacteriostatic andit is known to kill algae and fungi and control bacteria growth. CAPACITY: Flow rate: 1 gpm; Life: 5,000 gallons (estimate).